We are still looking for someone to host Business After 5 in April! We have ONE opening for Business After 5 in 2019. We also have a few openings for Business After 5 in 2020. Give us a call today to reserve your date! 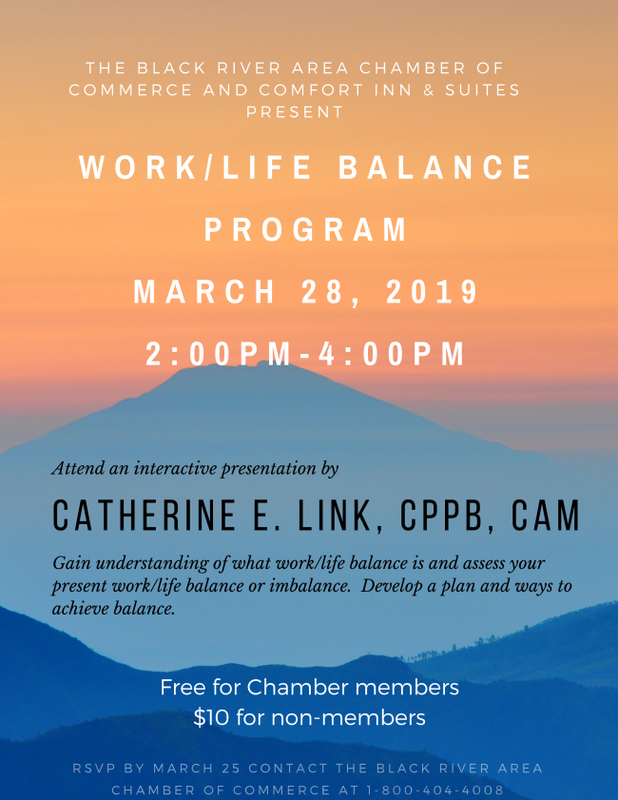 During this interactive presentation, you will gain an understanding of what work/life balance is, assess your present work/life balance or imbalance as the case may be, and the causes and consequences of imbalance. We will also develop a plan and discuss ways to achieve balance. This program is free for Chamber members and a $10 fee for non-members. Contact the Chamber office to register for this program. RSVPs appreciated by March 25. 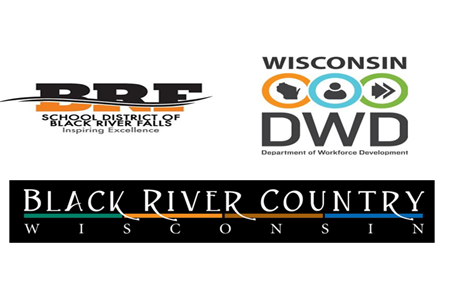 The Black River Area Chamber of Commerce, Department of Workforce Development and the Black River Falls High School are planning a Career Fair and Community-Wide Job Fair at the Black River Falls High School. We appreciate your partnership on this day to help grow your current and future work force. *The School District will provide lunch and snacks for all folks running a booth. If you are interested in participating, please fill out the registration form at this link: https://goo.gl/forms/GlRP4T8SUUD7UuED2 or download and print the form on our website . 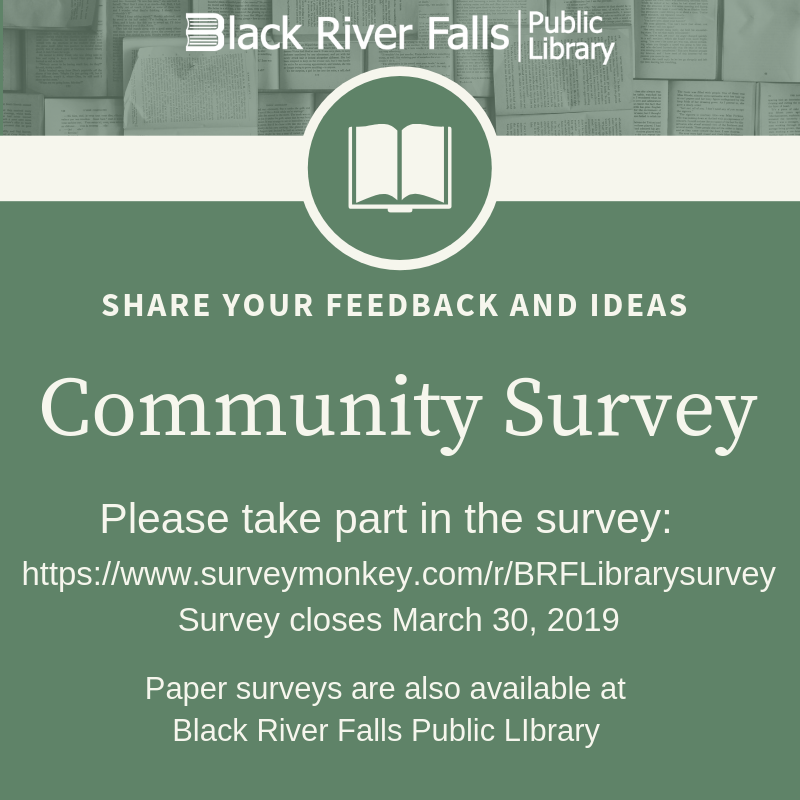 The Black River Falls Public Library is conducting a survey as part of a strategic planning process. They are reaching out to local organizations in hope to gather community feedback. To guide planning they would like to learn more about what our community values about the library, including which services and programs people are using and what they would like to see from the library in the future. The survey will be available through March 30. Interfaith Volunteer Caregivers needs three volunteers to deliver groceries to go. Interfaith is blessed to have partnerships with Co-op Credit Union and Regal Beloit Motor Company to help with the deliveries, along with many other wonderful volunteers. Interfaith could use more drivers from Hixton and Taylor. If you know anyone in those areas looking to volunteer, Interfaith would be happy to find them something fun to do! 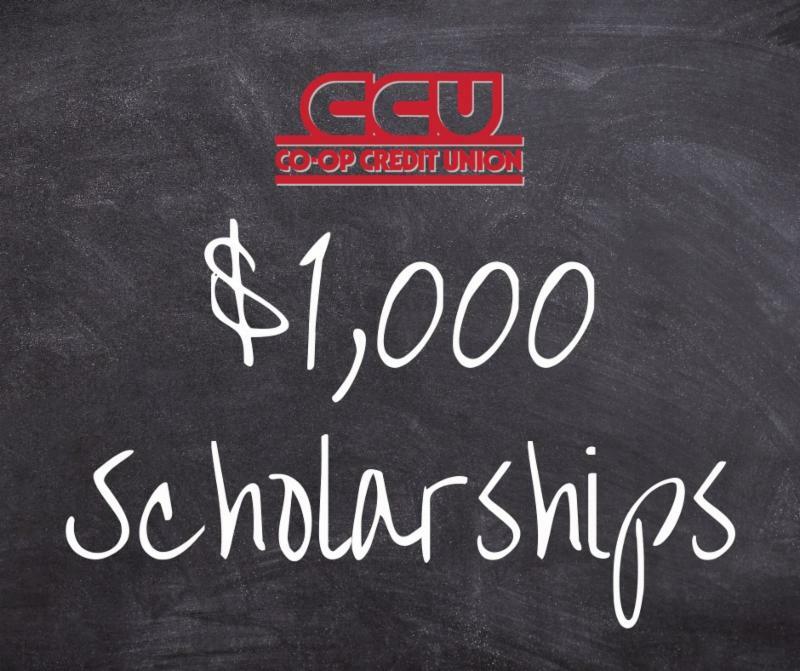 CCU is pleased to offer $1,000 scholarships to a graduating senior at 10 high schools throughout the region each spring. Interested applicants should address any questions about the application process directly to their school's guidance office or scholarship coordinator. 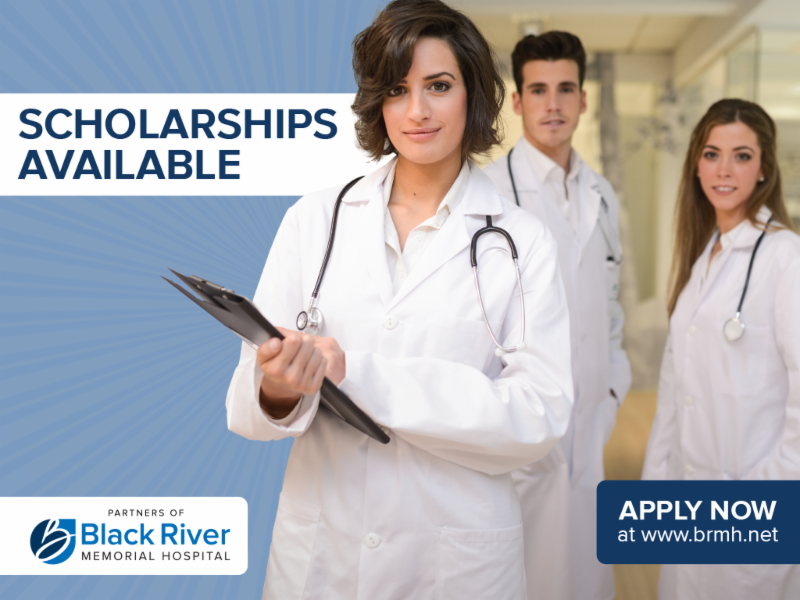 Check out the scholarships available that the Black River Memorial Hospital Partners and Volunteer Services of Black River Memorial Hospital are looking to award to deserving students. 1-31 Black River Falls Public Library will have a Birdhouse Display. 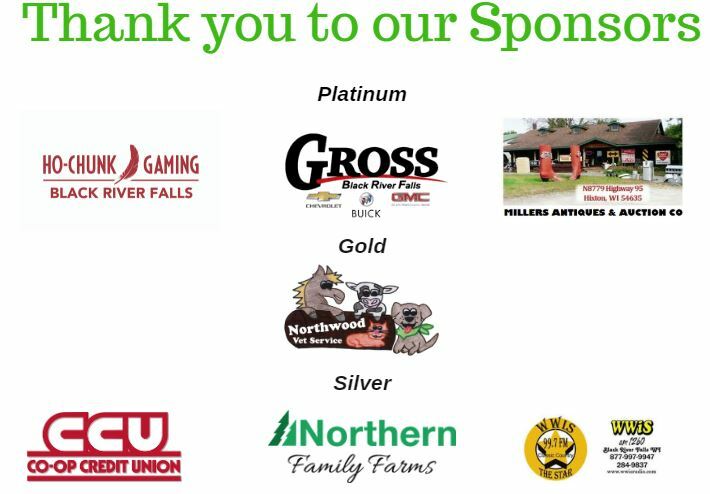 21 Co-op Credit Union Annual Meeting will be held at the Lunda Theatre starting at 7:00pm. Two candidates are seeking election to two positions on the CCU Board of Directors. Doors will open at 6:00pm. Entertainment will be provided at 6:30pm. The Treasurers Report will be presented along with the Chairman’s and President’s report. Free motor coach transportation to the Annual Meeting from the Galesville, Fall Creek, Melrose, Onalaska, and Strum areas. Please call 800-258-0023 to sign up for transportation. 21 Black River Falls Public Library: Classic Film Matinee: The Grapes of Wrath at 1pm. 21 Rainboots with Tulips (Sand Creek Brewing BRF). 6:20 to 8:30 pm. No experience is needed and we supply everything for you! Stencils too! $35 for a 16x20 canvas. Our social artist will walk you through this step by step and you get to choose your own colors of paint. Must register ahead of time by noon the day of... 1. Register on our website www.thepaintshack.net 2. or private message us on Facebook that you are coming 3. text Cyndi your names 715-379-7377. Come and have some creative fun and enjoy the incredible drinks at The Sand Creek Brewing Company in Black River Falls! 22 Ho-Chunk Gaming BRF -Magician Matthew Teague will be on the Casino Floor from 4-7pm! 22 Black River Falls Public Library: Story Time (Spring!) at 10:15am. 22 Black River Falls Figuring Skating Ice Show will start at 7pm. Tickets are $6 each, ages 3 and under are free. This will be held at the Milt Lunda Memorial Arena. Doors will open an hour before the show. 23 Ho-Chunk Gaming BRF -The Thunderman. Enjoy free entertainment performed on the Bar Stage from 8pm-midnight. 23 Black River Falls Figuring Skating Ice Show will start at 11am and a night show at 7pm. Tickets are $6 each, ages 3 and under are free. This will be held at the Milt Lunda Memorial Arena. Doors will open an hour before the show. 23 Child Care Business Brunch and Learn! Aspiring business owners are invited to attend a Brunch and Learn facilitated by child care and business experts. Learn how you can earn $35,000-$50,000 or more while staying at home with your own children! 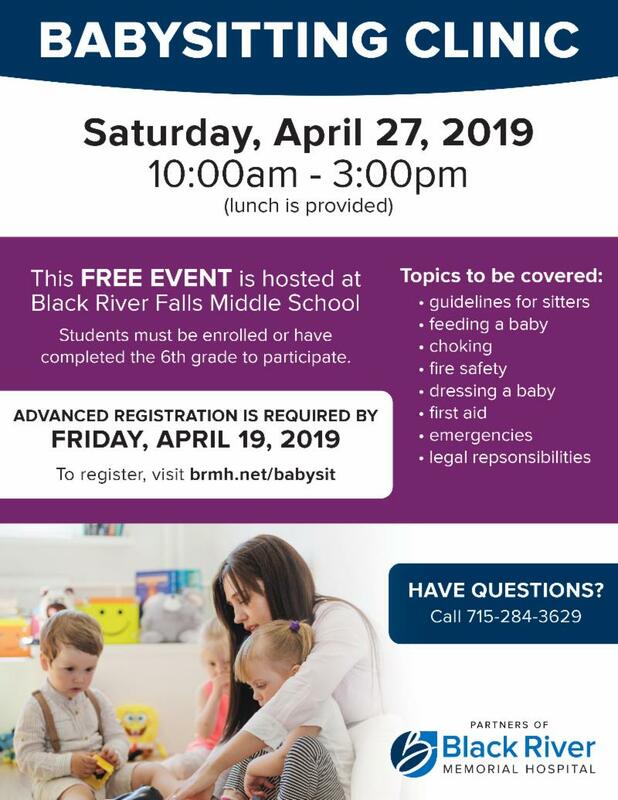 The Western Wisconsin Women’s Business Center and Child Care Partnership will provide tools, resources and mentorship to any individual who may be interested in providing in-home child care. This will be held at Revolution from 9-10:30am. 23 Ho-Chunk Gaming BRF -Magician Matthew Teague will be on the Casino Floor from 4-7pm! 23 Al Muth Harley: Past and Present Employees and Customer Appreciation Day! Come at your leisure and stay until we close at 3pm. Snick-snacks, coffee, light lunch, and cake until gone. 23 Falls Florist is having a Make Your Own Succulents Garden Event from 8:30 am to 3 pm. Stop in and see us throughout the day and make your own cute succulent garden to take home with you! We have a great selection of succulents to choose from, as well as accessories and containers available. Come in any time throughout the day, and we will guide you through the process! Feel free to bring in your own container/accessories if you wish, or purchase what we have in stock. ALSO - check out our BRAND-NEW AIR PLANT selection! Another trendy, unique, ultra-carefree accent for your home! 24 Black River Falls Ice Skating Show at 2pm. Tickets are $6 each, ages 3 and under are free. This will be held at the Milt Lunda Memorial Arena. Doors will open an hour before the show. 25 The Warrens Area Business Association will have a meeting at 6:00pm at the Cranfest Office. Planning for the Warrens Community Easter Breakfast will be on the agenda. 25 Laces to Leaders! Calling all 3 rd -5 th Grade Students wanting to have fun and develop leadership skills, while learning to run a 5K! This 8-Week program will be held at the Boys and Girls Club. Girls will meet Monday and Wednesday from 3:30-5:00pm and Boys will be meet Tuesdays & Thursdays 3:30-5:00pm. Cost is free with a B&G Club Membership. For more information, contact Kelly at the Boys and Girls Club, 715-284-4005 or klabar@cvclubs.org . 25 Black River Falls Public Library: Free Group Life Coaching Session with Lori Jayne Carlson @5:30pm. 25 Black River Falls Public Library: Lego II (for grades 4-6), 3:15-4:15pm. 26 Black River Memorial Hospital (BRMH) will host the Stepping On program. Participants learn why they fall and how to prevent falls. This program includes strength and balance exercises, home safety tips and a medication review. Holly Freeman, BRMH Occupational Therapist, shares about the program. “Participants will see fall prevention products. They will leave with more strength, better balance, and confidence in independent living.” This class is ideal for people who walk and are living on their own. Research shows, this program can reduce the chance of falling by thirty-one percent. Stepping On will be held on Tuesdays, March 26 - May 7, 2019, from 9:30 am – 11:30 am at the Lunda Community Center. For more information and to register for the program, call 715-284-1330. 26 Black River Falls Public Library: Dance Story Time at 10:15am. 26 Western Dairyland Women's Business Center, the Western Wisconsin chapter of SCORE, and H & R Block invite entrepreneurs and business owners to attend a Business Tax Chat discussion about small business tax preparation on Tuesday, March 26, from 6-8 p.m. at the Western Dairyland Community Action Agency, 418 Wisconsin Street, Eau Claire. Tuition is $10. 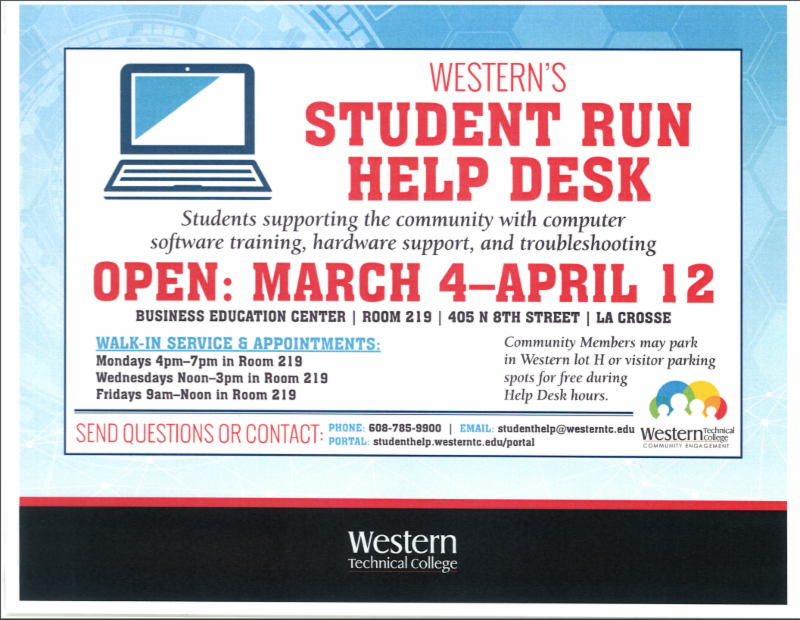 For more information or to register go to the Western Dairyland Business Center, call 715-836-7511 ext. 1171, or visit www.successfulbusiness.org . 26 Black River Falls Public Library: Jackson County Bird Club Meeting at 2pm. 26 Black River Falls Public Library: Tech Tuesday at 5:30pm. 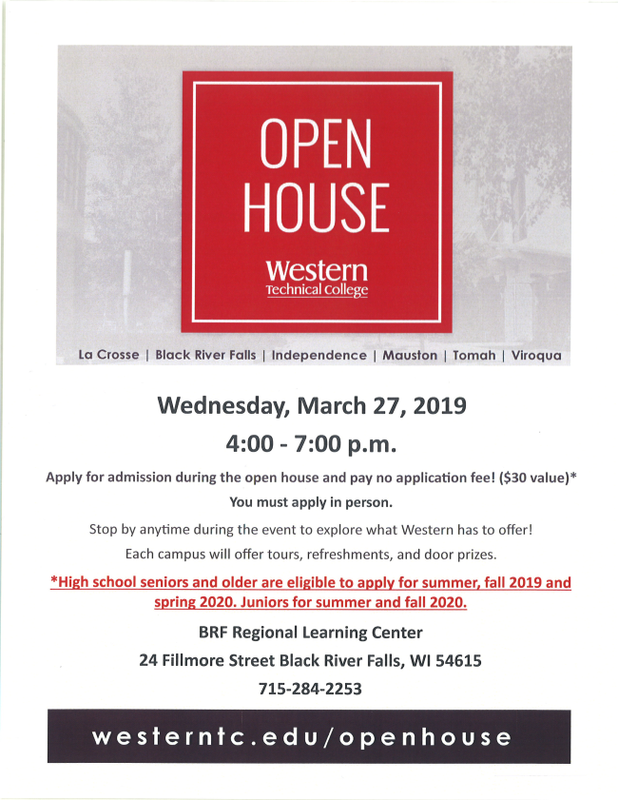 27 Western Technical College is having an open house from 4 to 7 pm. Apply for admission during the event and pay no application fee! ($30 value). 24 Fillmore Street Black River Falls, WI. Call 715-284-2253 for more information. Re/Max Homes & Hills Realty Inc.: O ffice Secretary/Administrative Assistant. 40 hour work week at the BRF Real-Estate Office. Must have computer experience, ability to manage business accounts and pay attention to detail. Must be punctual and communicate well with public. Competitive wage. Submit resume to: Job Position, 19 Main Street, Black River Falls, Wi 54615. Pine View Care Center: CNA's for all shifts and full or part-time Dietary Cook. Apply online at www.pineviewcarecenter.com or call 715-284-5396. City of BRF Parks & Rec. : Assistant/Summer Position. Must have valid Driver's License and be able to lift at least 50 pounds. This position involves trimming, mowing, cleaning, ball fields maintenance, maintenance of parks playgrounds, park grounds, equipment and buildings. This is a seasonal/limited term position. Applications can be picked up at BRF City Hall or on the City of BRF website. Applications must be submitted by April 1 at 4:30pm. Coulee Region Landscape & Design: Landscape Position. Duties include operation and maintaining equipment, mulching, edging, trimming, blowing, stone/shrub installation, retaining walls, paver patios, seeding and general labor. For more information and to apply call (608) 797-4473 . Black River Memorial Hospital: Med/Surg Nurse Intern, Medical Laboratory Technician or Medical Technologist, Occupational Therapist, Palliative Care Nurse Practitioner, and Social Worker. Visit the job openings page for more details and to apply at www.brmh.net . Black River Falls School District: Substitute Bus Drivers. Contact Jeff Hensel, Transportation Supervisor, In person at 1212 Pierce Street or by phone at 715-284-2557. Ho-Chunk Gaming Black River Falls : Room Attendant-Part-Time. Please submit application to Ho-Chunk Gaming-BRF Human Resource Dept., W9010 Hwy 54 East, BRF, WI 54615 by March 29. Ho-Chunk Gaming Black River Falls: Environmental Service Person- Full-Time. Please submit application to Ho-Chunk Gaming-BRF Human Resource Dept., W9010 Hwy 54 East, BRF, WI 54615 by March 29. Comfort Inn is looking for Housekeepers. Good wages, flexible schedule and sign on bonus! Contact Tamra at 715-284-0888 for more information. City of Black River Falls : Chief of Police/Criminal Investigator. Responsibilities include research, planning, scheduling, training, disciplinary actions, administering crime prevention programs, public relations, developing and administering policies, directing and coordinating all aspects of department operations and administration, preparing the department's annual operating budget, and leading criminal investigations. To apply, send a resume, cover letter, four (4) professional references, and a copy of your most recent DJ-LE-330 form to: City of Black River Falls, c/o Hiring Committee, 101 S. Second Street, Black River Falls, WI 54615. Co-op Credit Union : Mortgage Loan Processor. This is a full-time position based out of our Black River Falls location. Mortgage Loan Processors are responsible for ensuring efficient processing of documents and completion of various types of mortgage loan packages; both internally and with our growing secondary market lending needs. If you have excellent written communication and listening skills, are accurate and detail oriented, and thrive in a fast-paced work environment, this position could be the right fit for you! Secondary market, title, and/or mortgage loan knowledge/experience is preferred but not required. This position includes a competitive salary and benefits package. For a full job description, more details, and an application visit: https://www.coopcu.com/about-us/careers . Co-op Credit Union: Finance Intern this is a summer internship based out of our Black River Falls office location. The Finance Intern provides support and assistance to various lending-related areas and the Collections Department. They assist with special projects and perform a variety of routine departmental functions. Desired qualifications include being self-sufficient and able to work independently, proficiency with Microsoft Suite, and must be pursuing an Associate’s or Bachelor’s degree in a related field. Related financial background is preferred but not required. Co-op Credit Union: Marketing Intern this is a summer internship based out of our Black River Falls office location. The Marketing Intern provides support and assistance to the Marketing Department in assisting with special projects and routine departmental functions. They work both independently and with others to help implement the marketing and public relations initiatives of CCU. Desired qualifications include being self-sufficient and able to work independently, outstanding verbal and written communication skills, creative writing and design skills, and proficiency with Microsoft Suite. Must be pursuing an Associate’s or Bachelor’s degree in a related field. We have everything you need to keep you on the 200+ miles of ATV trails in Jackson & Clark Counties. Located at Hatfield Resort are many ATV/UTV amenities like 24 hour gas, washing stations, food, drinks & more! We provide turnkey event and entertainment services that drive revenue for your business & unique experiences for your customers. Coulee Tech, Inc. specializes in giving manufacturers IT support and app development. Service provided in La Crosse, Madison, Milwaukee, and Minneapolis/St. Paul. Jackson in Action (JIA) is a community coalition that promotes healthy lifestyles for children, their families, and the greater community. 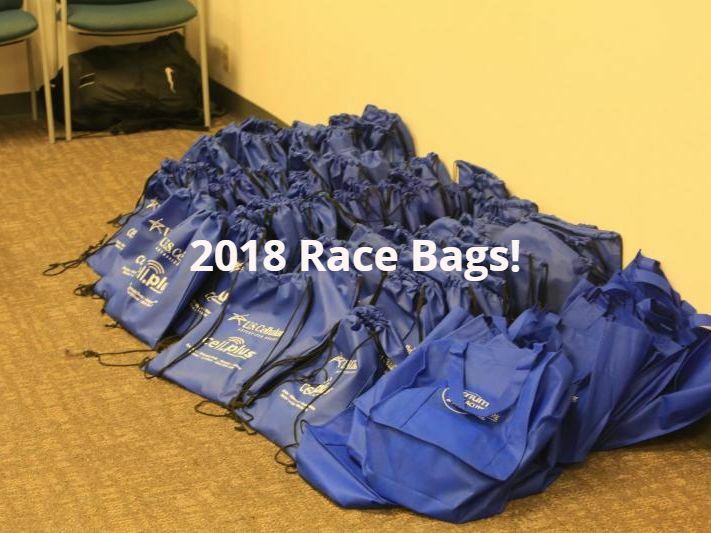 To help combat obesity and promote wellness in the Jackson County area, JIA offers events such as The Pace and Pedal Duathlon , Hunter Fitness classes, Laces to Leaders, snowshoe events and more. For more information, www.jacksoninaction.org . WKBT-TV | Phase 3 Digital – 141 6th Street S, La Crosse, WI 54601- Phone: 608-782-4678- www.news8000.com/ We are a CBS affiliate providing news and information on live television nearly 27 hours a week as well as a full service digital agency. You can find continuous news updates, programming and on-air and online advertising solutions at www.News8000.com .